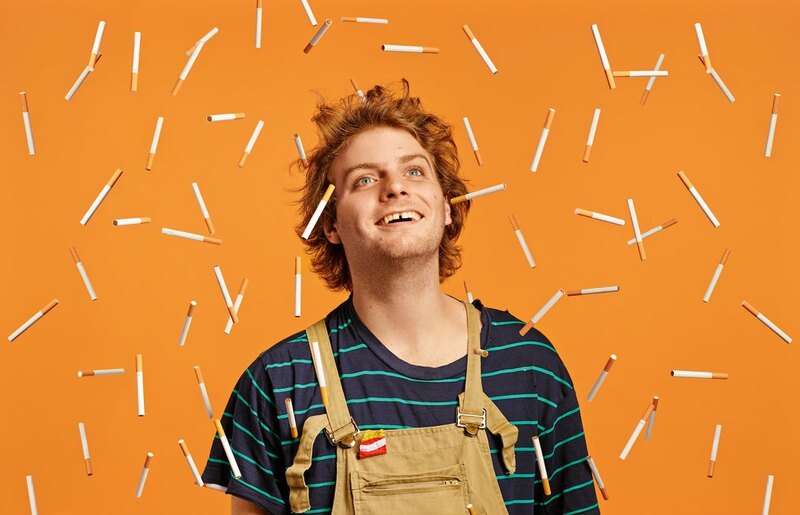 Mac DeMarco. Photo by Danny Cohen. This week’s Listening Party features the hazy sounds of Mac DeMarco and his upcoming show Tuesday at Baby's All Right. Listening Party is a curated weekly column promoting music discovery and encouraging concert-going. Featuring someone we’ve been jamming out to and we recommend to the masses, each Listening Party artist has an upcoming show at a local NYC venue. Grab your headphones and read on. WE SAY: Hazy, endearing, and lacking substance in a good way - kind of like your middle school boyfriend. Criticized for his immature antics by some, revered for his refusal to behave like an "adult" by others, Mac DeMarco is the closest thing we urban twenty-somethings have to a modern day Peter Pan. With the recent release of his second LP, Salad Days, critics are having a heyday focusing on DeMarco's prankster past and previously disorganized music stylings. But let's not get distracted. DeMarco's new sound is a compilation of hazy, humming tunes that hit your ear with the subtlety of a bumble bee buzz. In his latest work, DeMarco's sweet voice (a class clown contemporary of Kurt Vile) is punctuated by Real Estate-esque beach-y guitar riffs, fluttering cymbals, and even the occasional shake of the maraca! Standout track "Let My Baby Stay" showcases "Macky" at his most serious - referencing the recent struggle for his longtime lover (Kierra "Kiki" McNally) to extend her US visa - which, luckily, she has! So relax, pop open some $3 beers, and revel in the juvenile utopia of Mac DeMarco at Baby's All Right this coming Tuesday!